VMA Electric is a trusted generator installation company serving homeowners in Sudbury, Wayland, and other nearby areas in Massachusetts. We’ve been installing generators in the area since 2008, and we can help you find the perfect backup power generator for you and your family. Whole house generators that are durable enough to outlast the cold New England winters and powerful enough to allow you to continue life as usual for as long as power from the grid is down. 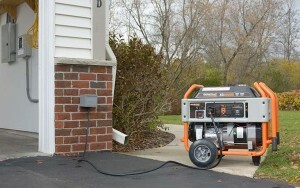 Smaller, portable generators capable of powering only a few select appliances in your home to help you ride out the storm. Plus, these generators are especially mobile and ideal for tailgating in style before a Patriots game. Whether you opt for a whole house generator or a portable generator, you can be confident in your decision to buy from VMA Electric. We only install generators from industry-leading Generac, all of which are designed to switch on and begin powering your home within seconds of losing municipal power. And, we take the time to ensure that all generators are installed correctly and ready to perform right away. To find out more about the generators that we offer to homeowners in Sudbury, Wayland, and surrounding MetroWest communities in MA, please contact VMA Electric today. We’ll help you find the perfect generator for you and your family.